I found a supplement of incredible potency - SUCCESSFULLY RAISES LEVEL OF GROWTH HORMONE! With it you will be able to achieve more and in less time than normal. Top quality is the domain of Universal. WILL HELP TO IMPROVE MUSCLE DEFINITION! Specialized products Universal najeżą the best on the market - like in this case GH Stak guarantees operation and virtually instant jump in growth hormone. With this product, until recently inaccessible becomes for you at your fingertips, just pull your hand! Do not be fooled by the labels of other products and choose the actually effective Universal GH Stack! 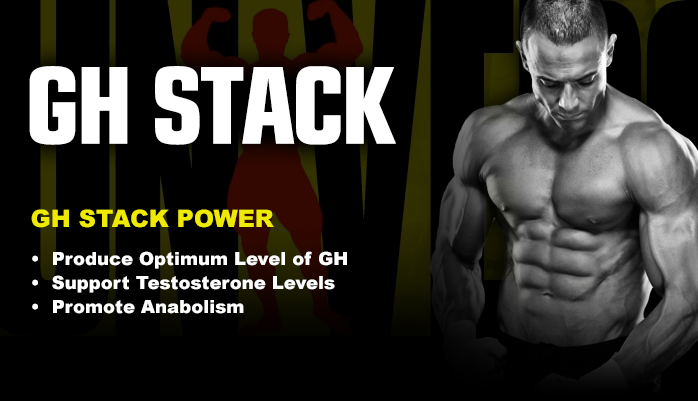 GH Stack is a supplement that increases the production of one of the most anabolic hormones in the human body. Growth hormone is a very important substance that determines the growth and composition of the human body. Produced in the pituitary gland is most abundant in children during the so called. jumping growth. This affects, among others, on bones accelerates their growth. The amount of human growth hormone decreases with age. Increasing the level of growth hormone in the athlete's training produces many beneficial effects: it increases muscle mass and strength, accelerates fat burning, makes cells more sensitive to insulin and slows down the aging process. GH Stack thanks to the specially developed composition increases the natural production of growth hormone. As a result, the athlete can benefit from increased levels of growth hormone, at the same time does not have to worry about side effects that may occur during treatment with growth hormone in the form of injections. Because GH Stack includes the composition of the extract Świerzbca proper, which is very beneficial effect on human well-being, energy levels and improve libido. Day Training: 1 serving at bedtime. Non-training day: 1 serving at bedtime. Składniki: l-ornityna HCl, alfa-ketoglutaran-l-argininy, l-lizyna HCl, l-glicyna, l-glutamina, kwas cytrynowy, naturalny aromat winogronowy, aspartam, red #40, FD&C blue #1.